All it takes is a little Raspberry Pi. Video game emulation is a gloriously nerdy grey area of gaming fandom that makes it possible to play almost any classic game for free online. Gamers have long been able to play emulators on their computers but thanks to mini-computers like Raspberry Pi, you no longer need a desktop to get your MAME on. Anything can become a min-arcade as long as you have the crafting skills to pull it. Accordingly, behold this refurbished Game Boy that can play almost any emulated system you can imagine. If you’re not familiar with Raspberry Pi, it’s mini-computer system that’s designed for easy coding projects and experimentation. You can make a $40 desktop computer or an environmental controller for your house with the same do-it-yourself kit. They’re incredible for tinkerers, but what YouTube user Wermy did is a little different and a lot more creative. 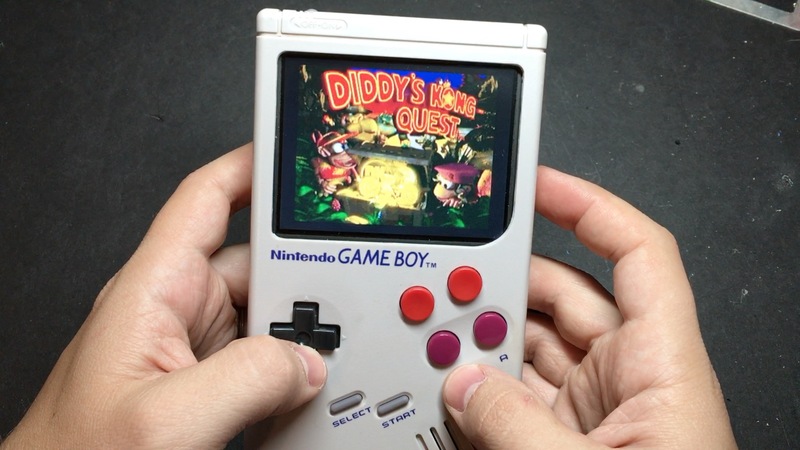 By replacing the guts of a Game Boy with a Raspberry Pi Zero processor and some fantastic customization Wermy was able to make the Game Boy of our childhood dreams. LCD screen? Check. Every SNES, NES, Genesis, Game Boy, Game Boy Advance, etc game known to man? Oh yeah. A rechargeable battery? Get out of here dreams, I thought we were talking about reality! The setup even includes a custom SD card reader made out of an old Game Boy game cartridge. It’s a testament to the incredible creativity of the Raspberry Pi community and gamers in general. Take four minutes and gawk at what could be. Don’t worry, you can make your own. When you’re done head over to SudoMod for a full tutorial on how to build the Game Boy Zero.